DNY Curly Girls! : Doris New York, Illuminate Your Star! Join our girls as they share their testimonies, advice and love for their naturally beautiful, naturally free flowing curls! You will be posted as a feature DNY Curly Girl and show the world your glowing tresses!! I am completely in love with Doris New York products, specifically DNY Leave In Conditioner and Olive Oil Cream. 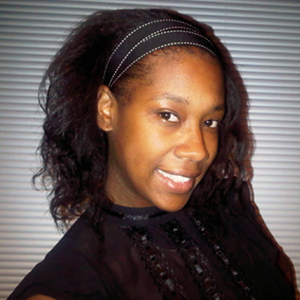 I have been natural since 2009 and went through the transition process by wearing partial sew-ins. 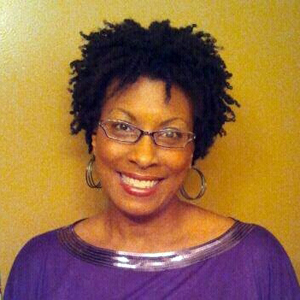 Due to heat damage, I had to deal with two different textures and ended up big chopping January 2013. I discovered DNY products in my Curlbox Natural box in 2012 and have ordered these products ever since. I was (still am) floored as to how hydrated my hair is after application of my DNY staple products. I also use Mud Minerals, which helps restore softness and shine to my hair--it also helps with detangling as well. Whenever anyone comments to my hair, I recommend DNY...every time!! When I big chopped, I was extremely self-conscious--mainly because I have ALWAYS had long hair. These products DEFINITELY helped me embrace my hair and essentially, myself. Before Doris New York hair care products came into my life, I didn't like my hair at all. Everyone else loved it but I was starting to hate it. It was forever dry, damaged and no matter how much time or money I spent experimenting with products NOTHING worked. As of today, after a full year of using these products.....I love LOVE my hair. It has strength, shine, volume which I totally love the bigger the better..lol. My hair is now healthy, I feel more beautiful because of it. I use The Reconstructor Shampoo which really cleanses my hair but never leaves it feeling dry. Then I usually switch up using the Extreme Deep Conditioner or The Mud Minerals Pack Treatment as my deep treatment routine. I apply the leave in conditioner all over my hair and then apply the Olive Oil Hair Cream. I also use the scalp oil around my hairline and in my scalp because my scalp tends to get dry also. Thank you Doris NY....I'd be a bushy mess without you!!!! My name is Tamaratare Omaya, and I've been natural since June 2009 (transitioning), and I did my big chop in September 2009. During the summer i was in the process of transitioning with Bantu knots/ China bumps, where i actually got my hair done in Ghana, West Africa .While studying abroad i noticed the women there were so neat with the way they did hair. It was an art craft to me, how they would beautify people's hair. I never thought I would go natural ... I knew one day i would cut my hair low when I got older..But i'm still young so that was at the very back of my mind. The closest thing to natural for me was probably getting a afro puff sew in weave to adorn my crown. While in Ghana, West Africa, I went through a actual transformation, and wanted to rock a natural crown. I wanted to be naturally me!!!! the people, my classmates, and everyone loved the Bantu knots i wore for the 4 weeks, and encouraged me, and supported me in my transformation to becoming free of chemical process. Today, I use Doris Leave in Conditoner daily, as well as the Hair and scalp oil to massage my temples, and after i wash my hair. I wash my hair with Doris New York High Moisture Shampoo, and the leave in Conditioner. The Leave in Conditioner is my favorite product because it helps to revitalise my hair, and it retains moisture in my hair. I love the hair and scalp oil, and the Leave in Conditioner. Doris New York products are here to stay! Mwah, DNY Lovelie, and I'm proud !!!! I am IN LOVE with Doris New York! My hair was damaged, dry and brittle when I first began using the products in July and now my curls are lucious, moisturized and healthy! 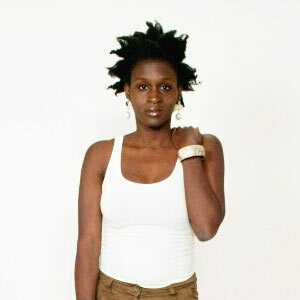 I love that they are extremely versatile and work well for my occaisional blow out, twist out or wash n' go. I wash weekly with The Reconstructor Shampoo, Deep Condition under my dryer with the Mud Minerals Pack, and then apply the leave in conditioner liberally throughout my hair and seal with the Olive Oil Hair Cream!!! 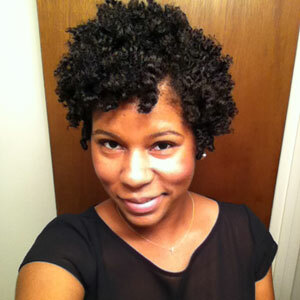 This is my twistout using the DNY Leave in Conditioner and Olive Oil Hair Creme. I applied the product almost two-weeks ago and look how great my hair still looks! I HEART Doris New York! I'm Tia Moore from Queens. 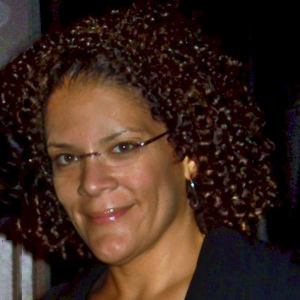 I've been natural since February 2006. I never did the "big chop." I gradually had the relaxer cut out of my hair. In the attached picture, I'm rocking the wash and air dry look. I have the leave in conditioner and olive oil cream in my hair. I opted for a single braid to help enhance the natural look.